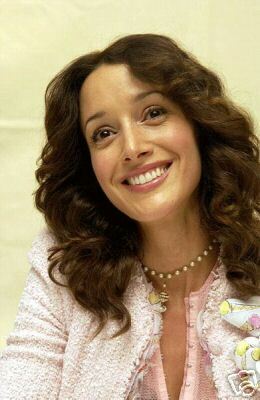 Jennifer Beals was born December 19, 1963 in Chicago. Jennifer has 2 brothers. Jennifer's mom is Irish and her father Africian American. Her father a business man died when she was 10 yrs old. Jennifer had a cameo in the movie "My Bodyguard" before her big break in the movie "Flashdance". Jennifer was 19 when she won the role of Alex in the movie "Flashdance" in 1983. Every actress in hollywood was after this role including Demi Moore. Instead of riding the wave of success she left Hollywood and went back to school. She attended Yale majoring in American literature. She tured down the lead role in Prince's "Purple Rain" because the movie clashed with her schedule at yale. Not many people my have notice Jennifer at yale because of another high profile student Jody Foster. While at Yale, she also starred in Franc Roddam's "The Bride" with Sting and "Vampire Kiss" starring Nicolas Cage. She married independent filmmaker Alexandre Rockwell in 1986. Jennifer has appeared in several of his films "Four Rooms" and "In the soup". Most notably, she starred in his "In the Soup", which won the 1992 Grand Jury Prize at the Sundance Film Festival and the Audience Award at the Deauville Film Festival. Jennifer's mother help finance the movie by putting a second moratage on her home. In 1992 Jenniner starred in an Aarron Spelling tv series "2000 Malibu Road" with Drew Barrymore. The series was cancelled after 6 episodes. In 1997 she tried tv again with the ABC series "Nothing Sacred". It too was cancelled. Jennifer and Alexander divorced in 1996 after 10 years of marriage. Most of the 35 films Jennifer have starred in since flashdance has been independent features. 2005 Jennifer is expecting her first child with her husban Ken Dixon in November.